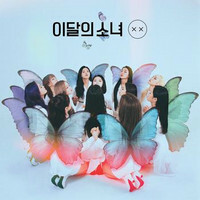 LOONA (LOOΠΔ – 이달의 소녀) contains of 12 members: Haseul, Vivi, Yves, JinSoul, Kim Lip, Chuu, Heejin, Hyunjin, Go Won, Choerry, Olivia Hye and Yeojin. The band is under Blockberry Creative. They debuted on August 20, 2018 with their title track “Hi High”.